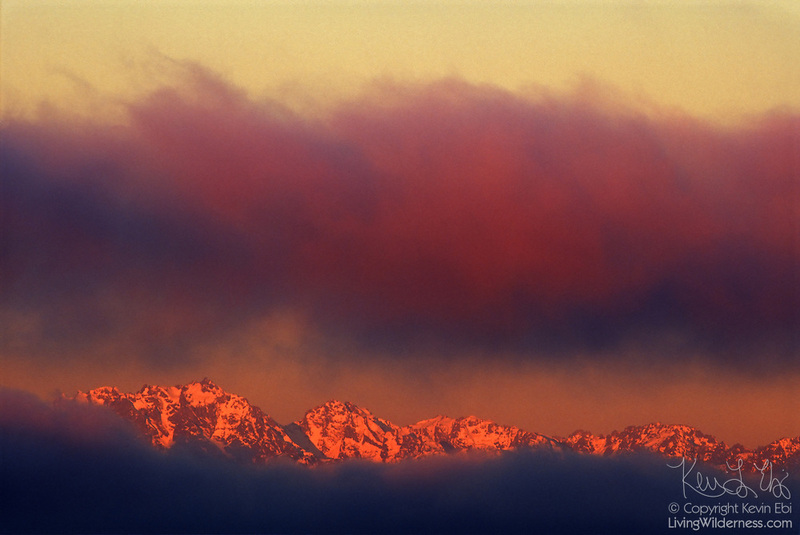 Mount Constance, far left, and neighboring peaks in the Olympic Mountains of Washington state are visible between a layer of low clouds and fog. Mount Constance has an elevation of 7,756 feet (2,364 meters). Copyright 2003 Kevin Ebi/LivingWilderness.com. All rights reserved.